KIEV, September 6. /TASS/. 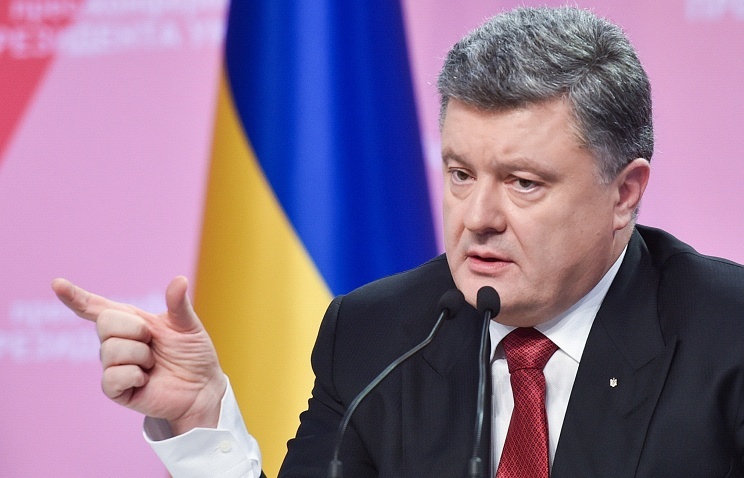 Ukraine’s President Petro Poroshenko has invited Russia to join the decision of the ad hoc Creditors’ committee on debt restructuring since it will have no privileges in this sphere. "Ukraine will offer no privileges to the Russian loan," he said on Sunday after a meeting with Managing Director of the International Monetary Fund [IMF] Christine Lagarde. "Russia has an opportunity to join the talks. As far as I understand, this opportunity is still in place. But Russia will be granted no privileged terms as compared to other creditors." Poroshenko stressed that cooperation with the IMF was vitally important for Ukraine, since thanks to that institution "the currency and gold reserves of the National Bank currently stand at $12.7 billion." Apart from that, Poroshenko said among issues discussed with Lagarde were support to accelerated privatization in Ukraine, tax reforms and financial rehabilitation of the national energy company Naftogaz. On August 27, Ukraine’ Finance Minister Natalie Jaresko told a government meeting that Ukraine had reached an agreement on writing off 20% of its debts, or $3.6 billion out of $18 billion. The creditors agreed to prolong payment of the rest of the sum - $15.5 billion - till 2019. The debt is made up of government guarantees and Eurobonds bought by foreign creditors. The maturity term of the former is September 23. She offered the same terms to Russia. In response, Russian Finance Minister Anton Siluanov said Russia would insist on complete debt repayment.